Dramatizing the events of the worst oil spill in United States history, Deepwater Horizon centres its narrative around engineer and family man Mike Williams (Mark Wahlberg), who goes to work on the rig off the Gulf of Mexico and starts to realize that things are going very wrong. Expertly crafted on a technical scale, Deepwater Horizon is an engaging and well-acted action drama, that celebrates the people whose lives were affected by this disaster and their heroism amidst these harrowing events. This is an altogether sturdy piece of blockbuster filmmaking, and you can read my full review right here. The Blu-ray also includes the nearly hour-long “behind the scenes” documentary Beyond the Horizon , which is broken into five segments and features interviews with the different cast members, as well as the extended featurettes The Fury of the Rig, Deepwater Surveilance and Captain of the Rig, and a selection of brief stories focusing on real American workers. All in all, it’s a generous helping of bonus material to back up the already recommended film. 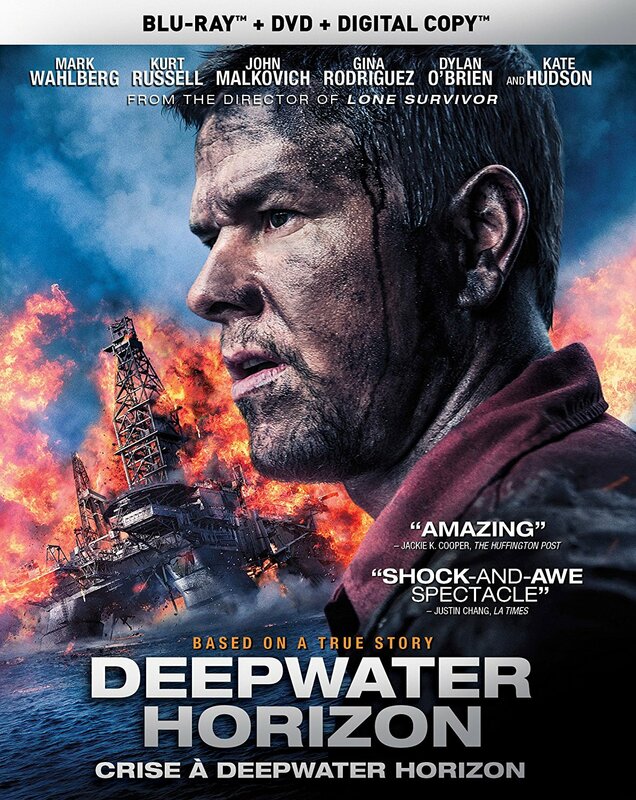 Deepwater Horizon is an Elevation Pictures release. It’s 107 minutes and rated 14A.